Augmented reality technology brings reindeer into UK homes on Christmas morning. McDonald’s has launched Reindeer Ready Live, a brand new app, created by Leo Burnett London, available for the first time this Christmas. Families can now create the magical moment the reindeer arrives and view it with their children on Christmas Day, to share proof of Father Christmas’ visit! 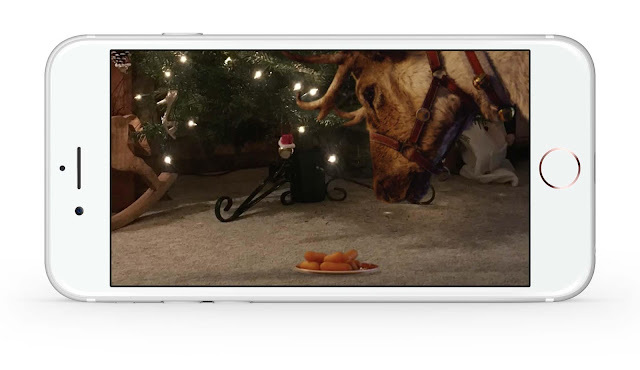 The Reindeer Ready Live app allows the user to take a picture of their living room and then insert an augmented reality reindeer into the image to create a film that looks as if it has been ‘caught on camera’ snacking on reindeer treats. The simple and easy to use app can be accessed via smartphone or tablet. Just visit www.reindeerready.co.uk/live to upload your photo and you will then receive back the personalised short film, which can be shared on social media with friends. The app is available in the UK from 20th December 2017. Reindeer Ready Live is part of McDonald’s 2017 #ReindeerReady Christmas campaign following on from the launch of the heart-warming ad, which features a young girl who, after a festive meal at McDonald’s with her father, holds onto her last carrot stick to give to the reindeer as a treat on Christmas Eve. Capture the magical moment the reindeer visit your home with Reindeer Ready Live!